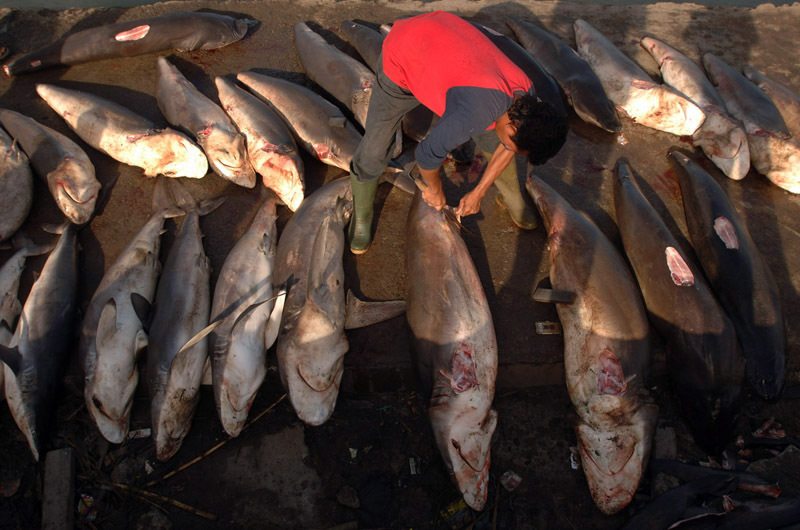 Sharks are especially prized for their fins that fetch high prices from buyers and are considered a delicacy in many Asian countries. Banda Aceh has traditionally had a thriving fishing industry but many of the boats were lost in the December 24, 2004 tsunami. Some are raising alarms that new boat building will enlarge the fleet beyond pre-tsunami levels creating the potential for overfishing.